Acrylic paint is probably the best to use in restorations. It's permanent but can be thinned and cleaned up with just water. It's safe for use on PVC and doesn't present the same issues with bleeding and its pigments separating that enamels and oils can have. Some collectors prefer artist quality acrylic paints, while others prefer the less expensive acrylic craft paints. Pony symbols are shinier than their bodies, so you'll want something with some gloss to it. Their bodies are more matte. There are tons of brands available, you'll have to experiment until you find your favorite. Read "The Difference Between Acrylic Paint Grades" to help get you started. Pearlizing mediums, metallic craft paints, and glazes of different sheens can all be found in the same section of the craft store as the acrylic paints. There are also many different types of brushes available intended for different purposes. Read their labels and play around to find your favorites. It can be difficult for paint to adhere to PVC and some collectors have had problems with paint peeling off their ponies over time. You can improve this by cleaning off any oils or plasticizer that may be on the pony's body and lightly sanding the area you wish to paint. 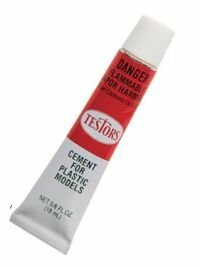 Applying acetone also makes the pores in the PVC open and can help improve adhesion (but don't leave it on very long as PVC reacts badly to acetone). Seal the area before painting if you are worried about bleeding of the pigments into the vinyl's pores. Many collectors choose to seal the paint again once dry. White and light colored ponies are the most susceptible to this with red paint bleeding the worst. Humidity also may play a role. Acrylic paint shouldn't bleed, but you can mix 2/3 Fabric Medium with 1/3 paint to lock in the color. The mixture may look grey when wet, but will dry to the correct color. Mostly used for removing marks, de-flocking so soft ponies, and removing unwanted glue from pony bodies. Avoid painted areas as it will remove them. 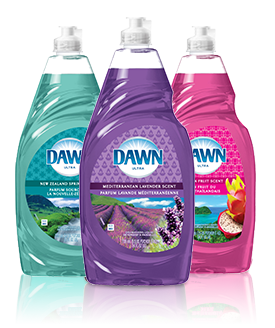 Available at hardware stores or in smaller quantities as nail polish remover. 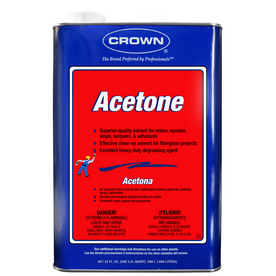 Acetone damages PVC, so don't leave your ponies exposed to it for extended periods and rinse it off once you're finished. Acetone and other solvents such as alcohol and Goo Gone will dissolve a layer on the outer surface of vinyl. They have their uses, but use caution as damage they cause cannot be fixed. Sovents leach plasticizer out of vinyl. Once all the plasticizer is gone the vinyl will crack. Found in acne creams such as Clearasil. Used for removing stubborn stains it will bleach the dye used to color a pony. You have to take this off before the stain is completely faded as it will keep working for some time after you wash it off and can over-bleach the pony. Leave it on between 15 and 30 minutes, rinse, and reapply as needed. It's best to test on an inconspicuous area first. Also keep in mind it can take a couple weeks for the ponies to show damage.... even if you think it's safe, it could fade down the line. 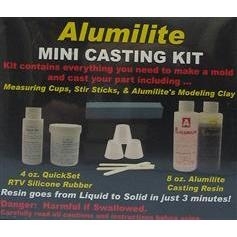 ﻿Sold at craft stores, these can potentially be used to cast and mold replacement 3D symbols, accessories, and parts to playsets. Some collectors have even molded entire ponies. By far, boring plastic combs are the safest to use on pony hair. Many human and doll brushes will make their hair frizzy. Avoid stretching the hair during combing to help prevent frizz. For straightening frizzy hair, straightening tinsel, and re-curling hair. Be careful as they can melt the hair and tinsel if the setting is too high. Most collectors choose to dampen the ponies' hair, add a lot of conditioner or other softening product, and set the iron to low when using these tools. You can use a crimping iron to fix pony hair that was originally crimped (if you can find one!). Don't use heat on color changing hair as it will melt. Used to hold curls in place, but it's been losing popularity because of the uncertainty of how chemicals will affect the ponies' vinyl over time. In my experience, hair that has been sprayed yellows over time, but it washes out. Hot or boiling water usually sets curls so that hairspray is unnecessary. if you're careful and don't rub too hard. Really are magic! 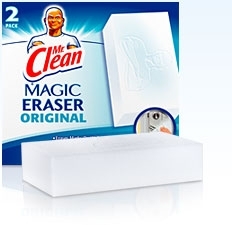 These are great for taking all sorts of marks and stains off of ponies, as well as for the general cleaning of surface dirt and reducing the appearance of smooze/pin dot mold. Make certain to get the original version. The ones made for bathrooms, etc., have cleaning chemicals in them that you don't want on your ponies. These are great for cleaning over symbols, eyes, blush and other painted areas. Be gentle as they will remove symbols and other paint if you rub too hard. And yes, they are supposed to fall apart as you use them. PVC, so don't leave your ponies exposed to it for extended periods and rinse it off once you're finished. make with a needle and an exacto knife handle. Cut the needle at an angle (my husband uses either tin snips or a dremmel) and attach it to the inside of the handle. Depending on the type of handle you have, you may or may not need to secure it with a dab of glue. Both used for sculpting missing, broken, and chewed on body parts, as well as accessories and playset parts. Check out Where to Buy . . . for an in depth comparison of the two. 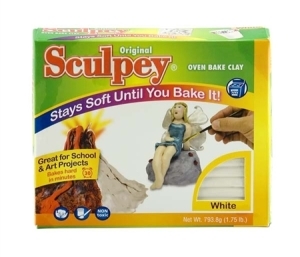 The major difference is that Apoxie Sculpt will dry on its own while Sculpey has to be baked in the oven. What is happening (in terms of a chemical process) when hydrogen peroxide is used to restore discolored Lego? 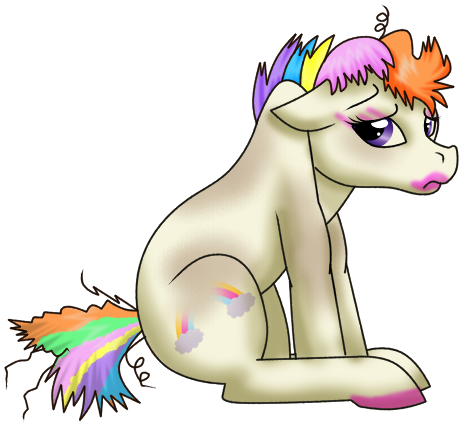 Ponies' hair is made of Nylon, which is not chemically compatible with the same things as PVC. 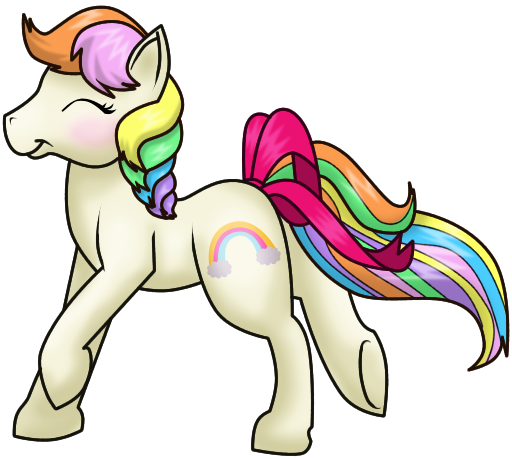 Polyvinyl Chloride, or PVC, is the type of plastic used to make ponies' bodies. It has good chemical compatibility with a lot of products, but is sensitive to humidity and UV exposure. Plasticisers are chemicals added to PVC to make it soft and bendable so that it can be molded into toys. Plasticized PVC is extremely common and has many uses. Many of the links you'll find on this site refer to PVC pipes. It's difficult to find information specific to toys, but many of the additives are the same and I haven't found any articles stating that PVC with plasticiser has a significant difference to PVC without it or in lower concentrations. Photostabilization of poly(vinyl chloride) – Still On The Run Phthalates, Plasticisers & Flexible PVC - What are They? If you'd like to know more about the plastics used in children's toys, including ponies, their playsets, and accessories, here are some articles to get you started! What Plastics Are Used to Make Toys? Here are some links that provide information on where to find many of the products discussed on this site. Twin Pines of Maine makes products specifically formulated for dolls and doll accessories. Read all directions carefully before use as some of the products will fade dyed vinyl and can remove cosmetic features such as eyes, symbols, and blush. This is used for cleaning, disinfecting, whitening, and killing mold and mildew. The Clorox website recommends soaking plastic, non-porous toys in a solution of 3/4 cups bleach per gallon water for 5 minutes to kill germs and mold. No directions available for its use on porous toys such as ponies though. Bleach usually doesn't affect a pony's body color, but may fade hair, painted areas, cause yellowing on so softs, or breakdown of glue. Bleach is a strong base and is corrosive and will damage PVC. When used to bleach staining caused by a fungus, the dark color usually returns when the PVC returns to it's normal pH level. Exposure to chlorine can cause a chemical reaction that results in brown streaks in vinyl. This cannot be reversed. Non-chlorine bleach may be safer for ponies. Chlorine is also present in things like cardboard, paper products, sometimes even accessories. Available at most pharmacies, Hydrogen Peroxide (H2O2) is chemically compatible with vinyl, but not nylon. It can be used for disinfecting, whitening, brightening, removing spots, and can even be used for fading pony cancer and cleaning leaking plasticiser. It seems to only work to fade spots when the toy is left soaking in the solution while exposed to the sun. Prolonged exposure to the sun can cause fading usually to the pony's painted areas and hair. Hydrogen Peroxide is often safe to use on glitter symbols when other cleaning products aren't, but this always depends on the glue. It can loosen glue, dry out and damage nylon hair, will cause chartreuse and neon hair to bleed and stain vinyl, it will remove paint from twinkle eyes, and may harden the pony's body. 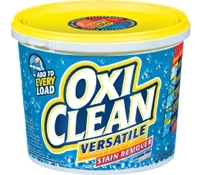 To clean many surface stains as well as mold and rust inside a pony's body, simply soak it in a solution of water and OxiClean or another cleaning product such as Vanish Oxy Action. Warm or hot water may be safer than boiling water. The spray on version works well for cleaning so soft ponies. If using hot water, be careful that the pony doesn't burn or melt with contact on the bottom or sides of the pot. Remove the ponies head so the water gets inside. This also helps prevent the head and body from becoming misshapen and allows the pony to dry more thoroughly. You'll also likely to rinse off excess powder and wash and condition your ponies hair after you are finished. ﻿There doesn't seem to be a set rule collectors use for the amount of powder and water to use. It's just a arbitrary "scoop" of cleaning product in a pot, bowl, or sink full of water. The amount of time to soak the pony varies by what it is you are trying to remove. If boiling, the pony can realistically only stay in the water for a few minutes. For soaking really difficult stains and molds, its not uncommon for collectors to leave their ponies in the bath for hours. Do not boil so softs, or expose princess ponies, ponies with glittery symbols, ponies with plastic attachments, and ponies with moving or electronic parts to water. This may ruin them. The OxiClean can also take the finish off of pony eyes and the pearlized paint off off twinkle eyes and will cause chartreuse and neon hair to bleed and stain vinyl. Color changing hair will melt when exposed to heat. In case you've ever wondered, these products are just Hydrogen Peroxide and washing soda: What percent hydrogen peroxide is Oxyclean equivalent to? "Most vinyl plastics are normally colored by adding metal oxide pigments to the plastic mass before it is molded. When vinyl compounds colored in this way are treated with REMOVE-ZIT to remove a stain the pigment is not affected by the treatment and the stain is removed. Another way to color some vinyl compounds is simply to add a dye to the plastic mass before it is molded. When vinyl compounds colored in this way are treated with REMOVE-ZIT the stain is removed but in many cases so is the dye used to color the vinyl. Strictly speaking, a dye is a stain and REMOVE-ZIT is an efficient stain remover." Photo courtesy KitKatVintage. 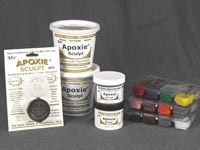 ﻿Available in liquid and spray forms, Mod Podge can be used to seal paint. It tends to have a shinier finish than a pony's body would naturally and can dry sticky. Testors Dullcote dries with a finish that is closer to the pony's original shine for when you need to seal paint to match the rest of the body, and it isn't sticky. The use of powders on PVC can encourage the growth of fungus. Powders such as talk, baking soda, and especially cornstarch will absorb migrating plasticizer and give fungus lots to feed on.